Susan Riseling, chief of UW–Madison Police and associate vice chancellor, responds to an audience member during a Parents’ Weekend panel. We write to you about the safety and security at our public colleges and universities in the State of Wisconsin. 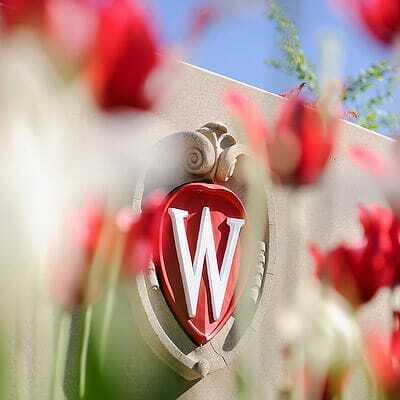 The University of Wisconsin System, and its system schools, are consistently ranked among the best of the best. Our colleges are safe places – among the safest of any place in this state. Our colleges push students to think critically, to debate issues and theories, and to challenge each other’s thoughts. Our colleges are incubators for our future – preparing the best and brightest to conquer anything set before them. Our colleges do not need more guns. Guns do not belong in our classrooms, student centers, laboratories, workout facilities, locker rooms, offices, residence halls or athletic venues. There is no evidence that exists indicating college campuses are or would be safer because of concealed carry laws, and more guns. In fact, a Department of Justice study found that 93-percent of all violent crimes that victimize college students occur off campus. Stanford University released a study on the effectiveness of conceal carry as a safety measure. This study concluded that more armed individuals does not increase safety. In fact, the presence of right to carry laws are associated with an increase in violent crimes. The Journal of American College Health conducted a random sampling of more than 10,000 undergraduate students from 119 four year colleges. This survey showed students who owned guns were more likely than unarmed students to drink- often in copious amounts. While intoxicated these individuals take part in activities that put themselves and others at risk for life-threatening injury. A Ball State survey of 15 Midwestern colleges showed that 78% of students opposed conceal carry. In the same study, 66 percent did not feel carrying a gun would make them feel less likely to be troubled by others. In the short time since the Campus Carry legislation was first introduced, we’ve heard from countless groups and individuals who feel this is a bad idea – that they would feel less safe with guns in our campus buildings. Student government, student organizations, faculty and staff, administrators, parents, donors, and those who do business on our campuses have come out saying they don’t believe arming civilians in our campus buildings is the answer to our country’s gun violence epidemic. We oppose any legislation that would allow citizens to legally carry concealed weapons inside university buildings or any legislation that would weaken our prohibitions, including the elimination of UWS 18.10(3) of the administrative code. We welcome the opportunity to meet with you to discuss options that strike an equal balance of safety and security. We look forward to opening up a dialog about this critical issue on our campuses.